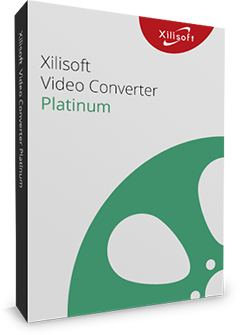 Xilisoft ASF Converter is the right software to convert ASF files to AVI, MOV, MP4, MPEG-1/2, MPEG-4/H.264, and WMV or convert them to ASF for streaming on the internet. In addition to this, you could also extract audio from these video files.Support NVIDIA CUDA & ATI Stream technology to gain better performance in ASF video converting. Other features include customizing output files with a wide range of file properties you can manually set and adjust; split a file into several small ones; specify output file size with bit rate calculator; or output several files from one single source. Convert 3GP, AVI, MKV, MPEG, DAT, VOB, MP4, MOV, RM, RMVB, WMV, MP4, MPEG-4/H.264 to ASF. Extract audio files from ASF videos and save as M4A or WMA audio files. Xilisoft ASF Converter supports dual-core or multi-core CPU processor, more cores mean faster conversion speed. Powered with NVIDIA CUDA & ATI Stream technology, Xilisoft ASF Converter can convert ASF videos in 5X faster speed at least. Load one file and output to several files all at the same time with different file properties is possible. Split a large file into several small ones by a pre-defined split time or size. The bit rate calculator compresses your output file size with the file properties you input. Set the start and duration of a certain clip you want to convert. Convert several files in batches all at the same time. Provide a built-in resizable player to preview the files (supports 4:3 and 16:9 zoom mode) and allows you to snap your favorite screens anytime. Allow you to manage your system power in this ASF converter. Set an action - hibernate, exit, shutdown or standby as a conversion task is done to avoid waiting or wasting time. Choose from 6 languages - English, Japanese, German, Spanish, French, and Chinese.